All the new oval cabochons on the site were done as demonstrations in my recent cabochons classes at William Holland. 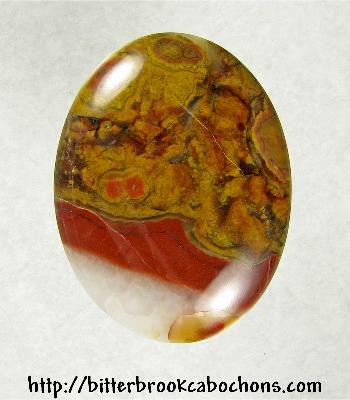 This Poppy Jasper cab looks like melted caramel flowing down a scoop of red & white ice cream. 39mm x 30mm x 6mm. Weight: 54.45 carats.